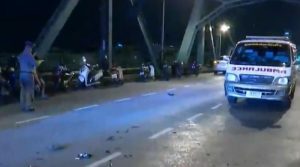 AN actor and another young motorcyclist died on Memorial Bridge in the middle of last night after colliding head on with the force sending one of them hurling under a passing bus, INN News reported this morning (Sept. 18, 2018). 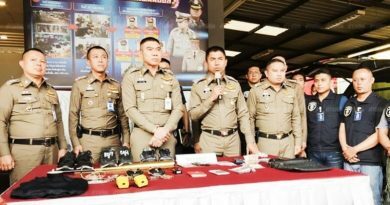 Pol Lt-Col Danchai Thoolong, deputy chief for investigation at Pak Klong San police station, rushed to the bridge where he found the 2 dead youths with one of them being Mr Thitiwat, 19, who was working as an actor and also sold big bikes, and the other Mr Thonawat, 18. 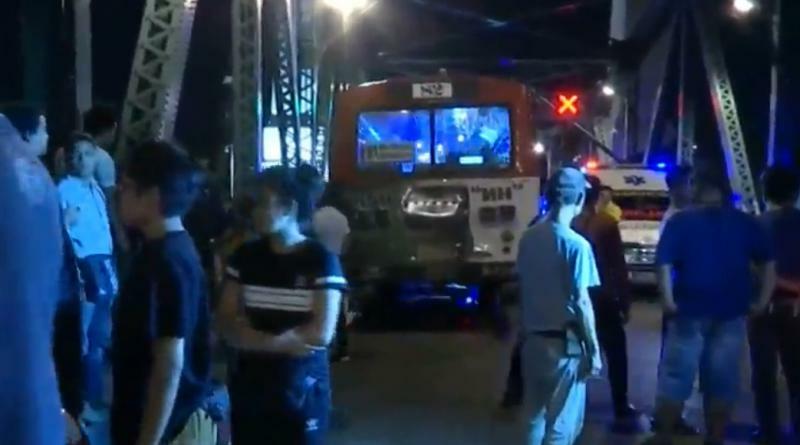 He questioned Mr Pawan, 22, who lives in this area and was just sitting at the bridge when the bad crash occurred, and was told that Thitiwat usually rode his big bike up the bridge together with 4 to 5 friends in the middle of night. 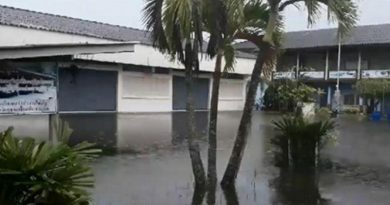 However last night he suddenly went on a spin up and down the bridge, and after completing 2 rounds and setting out on the 3rd, the second youth zoomed up the bridge from Bangkok side to go to Thonburi. The latter’s way was blocked by a bus so he swerved right and raced on the dividing marker, when he slammed into the big bike coming the other way. The force of the thundering collision sent the latter hurling under the bus where he died. 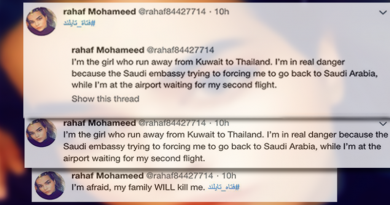 Saudi Arabian girl detained in TH claims that she will be killed in SA.